From what I have seen so far, the Japanese people are clueless about what's been going on in their own country economically for the past 20 years. Because they don't understand how economy and finance work, so they cling on to the economic cliche - neo-Keynesian this and that, Chicago School this and that, and highly respect Nobel Prize-winning economists like Paul Krugman whenever he utters anything. They truly believe the official line that deflation is bad and inflation is good, completely forgetting what their government feeds you is a bunch of garbage (figuratively and literally), as the Fukushima I Nuclear Power Plant accident has abundantly shown them (I hope, but hope has become a dirty word). They are clueless as to how Bank of Japan prints money, and why printing paper money is not creation of wealth. I suppose that is to be expected from a country where they still teach Marxian economics in universities. They will never know what hits them when it hits them, which Kyle Bass seems to think will happen within 2 years. Just like the Fukushima nuke accident, it will be "beyond expectation". And just like the Fukushima nuke accident, it will be because of the imperial US's fault for causing it and/or not helping Japan (well, there's some truth to that, I guess, at least the former). The hyper-correlation of Japanese stocks and the JPY have led many to believe that Abe's miracle promise will be just the ticket to bring the nation's two-decade slump to an end - a 2% inflation target is all you need. However, in a brief CNBC interview, Kyle Bass explains that not only are 99.9% of people wrong about the crisis (explaining the critical aspect of the abrupt turn of twenty years of the 'procylicality of thought' - that deflation is the norm), but Abe's actions have actually brought forward the date of the "detonation of Japan's Debt Time Bomb. It is the Japanese institutions that own JGBs and they own them at meager rates of interest simply because of the ingrained belief in deflation; when the government begins to target 2% inflation, the swing in forward expectations (he notes to monitor inflation swap breakevens) will be the trigger for Japan's implosion. Bass warns that "Japanese debt is around 24x central government tax revenue and when you sail into the zone of insolvency, nothing you can do will help," though he realizes that calling the end of the 70-year debt super-cyle to a specific date is naive, he does expect the 'bomb' to explode within 18 month to two years. All of the components for this [bomb] to go off 'all of a sudden' are in place. The clock has started on the qualitative shift in participants' minds that the situation is untenable as the realization that Japan spends 25% of revenue on interest now - and with higher rates (via this supposed inflation) the entire situation becomes farcical as every 1% rise in their cost of capital (or rates) costs them another 25% of revenue!. On JPY devaluation - The signs are already there that elites are exiting the JPY - with recent M&A transactions - he warns. 20% of exports go to China; this could be halved given the tensions, and a JPY devaluation is not going to restore the competitiveness of that secular decline. On Japanese stocks - The people buying Japanese stocks, are picking up dimes in front of a bulldozer. Bass goes on to discuss the US Housing stabilization, European stress, and China's economic opacity. I think I mentioned it here before, but I still very clearly remember reading the Japanese message boards right after the March 11, 2011 triple disaster. As the reactor buildings exploded one after another, the clueless Japanese were chattering away, saying "We must go out and spend money and have fun! If we refrain from spending money because of the earthquake and tsunami, it will be bad for the economy because it will create more deflation! That won't help the disaster victims, will it?" They don't even know 25% of the national budget is used to pay interest on the debt. They don't know that rising yields on bonds means bond price is decreasing. - Boeing's new 787 airliner uses two lithium-ion batteries made by the Japanese company GS Yuasa Corp (6674.T), with the associated control circuits made by Thales SA (TCFP.PA). They are part of an auxiliary power unit supplied by UTC Aerospace, a unit of United Technologies Corp (UTX.N), that provides power while the airplane is on the ground. - Lithium-ion batteries can catch fire if they are overcharged, and once alight they are difficult to extinguish because the chemicals produce oxygen. But Boeing said it designed multiple systems to prevent overcharging, contain a battery fire and siphon smoke away before it reaches the cabin. - Boeing said the battery it uses on the 787 is about twice as large as a car battery and has been extensively tested, both in the lab and in operation. The U.S. National Transportation Safety Board said the auxiliary power unit battery that caught fire on January 7 at Boston's Logan International Airport weighed about 63 pounds and measured 19 inches by 13 inches by 10.2 inches. There is a speculation (not yet proven) that the controller was built on one of a bad circuit board batch produced in Mexico in both JAL and ANA planes. Republican members of the US House Energy and Commerce Committee has sent an open letter dated January 15, 2013 and addressed to Chairwoman Allison MacFarlane of the Nuclear Regulatory Commission, demanding that NRC answer their concern that NRC's attempt to further regulate the nuclear industry after the Fukushima I Nuclear Power Plant accident may be stifling and unnecessary for the health of the industry. They seem to be saying, correctly I suppose, the US is not Japan. "In particular, concerns were raised about the agency's departure from rigorous technical and cost-benefit analysis. Yet as the Commission readies itself to take additional actions concerning "Tier One" recommendations (post-Fukushima items of highest priority), it appears that the NRC may be discarding the disciplined processes that for years have ensured that reactor safety is rooted in performance-based regulation, appropriately recognizing each nuclear plant is different. It also appears that the Commission is considering some issues on an independent basis without considering how those issues impact other matters currently pending before the Commission and previous NRC actions that are already being implemented by the industry. This suggests the Commission views the cumulative impact[s] of its actions as merely a cursory scheduling challenge, and ignores the serious risk that piecemeal consideration of related issues may yield unintended consequences." Right below this passage, the letter quotes NRC Commissioner William Magwood and the official report of the Fukushima accident investigation commission set up by the Japanese National Diet (out of context, in my opinion) that say the accident was "made uniquely in Japan". And what exactly is their beef that isn't justifiable with the traditional "cost-benefit analysis"? "With respect to these [safety] enhancements, we have particular concern about the potential requirement to install "filtered vents" for certain boiling water reactors which we understand to be significant, capital-intensive structures. As instructed by the Commission, the NRC staff has proposed four potential options but urged the Commission to choose "Option 3." Under this option, the Commission would issue an order requiring the installation of fintered vents rather than pursuing a performance-based process." It is apparently of no concern to these Representatives (or should I say representatives of the US nuclear industry) that it was the dry vents from the reactors at Fukushima I Nuclear Power Plant, not so much the explosions, that contaminated much of Tohoku and Kanto. We strongly agree and observe that the "fully developed justification" Commissioner Ostendorff referenced remains absent. To move forward on a poorly justified, precedent-setting proposal like Option 3 would be a disturbing erosion of the NRC's historically disciplined standard of adequate protection. Their "performance-based process" seems to mean that as long as there is no accident there is no need for "costly" filtered vents. Their cost calculation doesn't seem to include the public and social cost in case of an accident, because an accident is not supposed to happen. How's that thinking different from Japan's before the Fukushima accident? Later in the letter, the argument is made that the closure of a nuclear power plant would result in power shortages and a huge loss of local employment. It is the same old argument that has been made everywhere in Japan. So, what's different in the US? The site has always been very good at portraying TPTB in the most unkind light, and today is no exception. The link under Stalin's portrait ("FLASHBACK: Tyrants Who Have Used Children As Props...") goes here, the source for Hitler's and Stalin's portraits. The site also has pictures of China's Chairman Mao, North Korea's Kim Il-Sung, Cuba's Fidel Castro, Venezuela's Hugo Chavez (who looks like he's about to eat these kids). In addition to "premium" peaches and apples from Fukushima's contaminated middle third (Nakadori), pears and persimmons will be added to delight the wealthy Thais. As long as the fruits are tested and radioactive cesium is less than 100 Bq/kg, they are as safe as they can get, as far as Fukushima Prefecture and the Japanese government are concerned. In 2012, pears grown and harvested in Fukushima tested maximum 14.74 Bq/kg (Minamisoma City), and persimmons 86.9 Bq/kg (from Date City), according to the Fukushima Prefectural government. The tests were sampling tests only. I wonder what the Thais get in return. More low-interest loans from Japan, I suppose. Fukushima Prefecture will ramp up the export of agricultural produce grown in Fukushima to Thailand in the fiscal 2013. Thailand is the only foreign country that accepts produce from Fukushima after the Fukushima I Nuclear Power Plant accident. By expanding the export to Thailand, [the prefectural government] wants to resume export to China and Taiwan. The plan was revealed in the policy research committee [of the prefectural government]. In addition to peaches and apples [that were exported to Thailand] in 2012, pears and persimmons will be exported. They will be sold to the wealthy at high-end department stores and shopping malls. Safety and high quality will be the selling points, with which the prefectural government hopes to resume export to Asian countries. Officials from Fukushima's JA [agricultural producer co-op] will visit Thailand in mid January to discuss with Thai officials on market development. China, Taiwan, South Korea and other Asian countries have stopped import from Fukushima since the nuclear accident, but Thailand allows the import on condition that the produce be tested for radioactive materials. In 2012, 900 kilograms of peaches and 360 kilograms of apples were exported to Thailand, and they were sold out. Fukushima Minpo also reports that the hula girls from Hawaiian Center in Iwaki City will tour elementary schools throughout Japan to tell 3rd, 4th graders how Fukushima has wonderfully rebounded from the disaster. The purpose of course is to eradicate "baseless rumors" and bring more tourists to Fukushima. The battery manufacturer GS Yuasa, based in Kyoto Prefecture, uses lithium cobalt oxide electrodes which are apparently prone to overheating. A fire last week and a forced landing today have brought the possibility of such problems to the forefront. Two major safety incidents involving Boeing 787 Dreamliners have caused two Japanese airlines to ground their fleets of the aircraft. The problems may be linked to a battery chemistry that’s particularly prone to causing fires. Earlier today, a plane in Japan was forced to make an emergency landing after reports of a battery warning light and burning smell. Last week, a battery caught fire on a plane on the ground in Boston. In both cases, the problems may be related to Boeing’s decision to use a kind of lithium-ion battery chemistry that overheats and catches fire more readily than others. It’s not yet clear whether the problems in the 787s originated with the batteries. 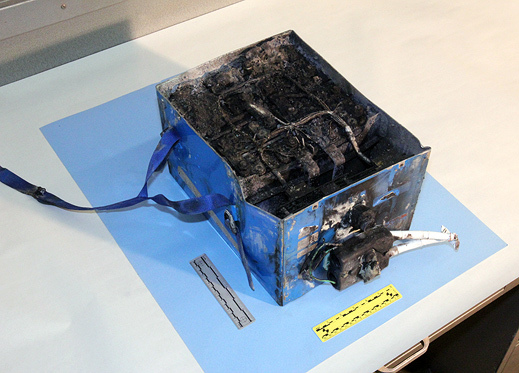 Faults in the electronic controls have been implicated in other lithium-ion battery fires. According to reports, inspectors found liquid leaking from the 787’s batteries after the forced landing in Japan today. The battery was also discolored, but it wasn’t clear if it had caught fire. ...Boeing’s 787 is the first commercial aircraft to use lithium-ion batteries, according to GS Yuasa, the Japanese battery manufacturer that supplies the batteries. The company also supplies batteries for the International Space Station and electric railcars, among other applications. The chemistry—and safety—of lithium-ion batteries varies. According to GS Yuasa’s website, the batteries it uses for Boeing’s 787 use lithium cobalt oxide electrodes. These are known for high-energy storage capacity, but other battery chemistries, such as lithium iron phosphate, are more resistant to overheating. Because of safety concerns, many electric vehicle makers have shifted to alternative chemistries, sacrificing some energy storage capacity. GS Yuasa's websites (English and Japanese) do not have any statement about the JAL or ANA incidents. 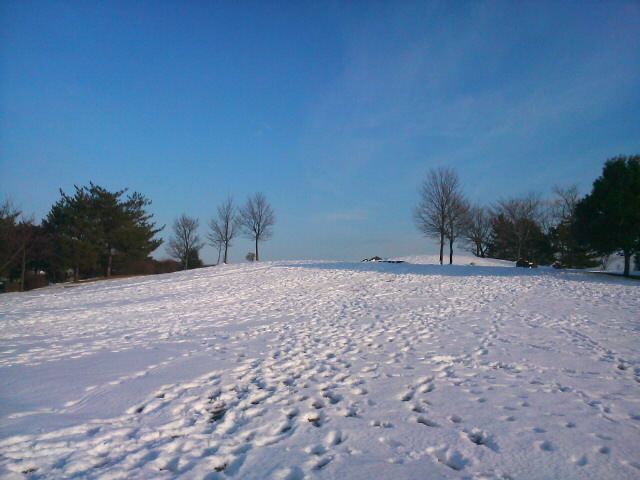 The crowded metropolis still has open space like this. Ojika Peninsula is located in the northeast part of Miyagi Prefecture, where towns like Ishinomaki City and Onagawa-machi are located (see the map at the bottom of the post). Tokyo Municipal government has been importing the disaster debris from Onagawa and burning it in the regular garbage incinerators (many of which are located in the middle of residential areas) all over the central Tokyo since March 2012. The Tokyo University researcher who was the first to measure Neptunium-239 in Iitate-mura in early April 2011 says he thinks he has been able to identify the radiation contamination in Ojika Peninsula to have happened on March 12, 2011, from Reactor 1. Radioactive materials such as iodine-131, cesium-137 and tellurium-132 started to leak hours before the Reactor 1 venting operation in the early afternoon and the hydrogen explosion in late afternoon on March 12, 2011. I have obtained the result that proves the contamination in Ojika Peninsula is from Reactor 1 on [March] 12. The paper is currently in review process. I have also been trying to attribute contamination in various parts in Fukushima to Reactor 2 and Reactor 3, but this is not yet complete. The activity ratio of nuclides in the contaminated water taken from the Reactor 1 building matched that in the soil sample taken in Ojika Peninsula, and this activity ratio is distinctively different from the activity ratios for the other reactors. 22 months after the start of the accident, painstakingly slowly, the picture may emerge of the radiation contamination mechanism. About time, but it is exciting nonetheless. Professor Hayakawa puts contamination of Ojika Peninsula just past the midnight, at 1:50AM on March 13, 2011 (according to the backside of the Version 7 map). That's when the radiation measured at Onagawa Nuclear Power Plant jumped to 21 microsieverts/hour. The official adult age in Japan is 20. These 20-year-old boys and girls celebrated becoming an adult at Disneyland on January 14, 2013, a national holiday of "coming of age". CHIBA, Japan (Kyodo) -- Around 1,200 people turning 20 years old attended a Coming-of-Age ceremony Monday, a national holiday, at Tokyo Disneyland in Urayasu, Chiba Prefecture. Amid falling snow, Urayasu Mayor Hideki Matsuzaki told the new adults, who were wearing festive dress, "We live in difficult times, but I hope you will change this country in cooperation with your peers." Takeru Hirota, a 20-year-old college sophomore attending the ceremony, said, "I don't think it's hit me yet that I've come of age...I don't know about my future, but I want to make my own decisions about what I do." It's fitting in a way for a country where young boys and girls fashion themselves like anime/manga characters with long layered hair cuts (boys) and extra-big eyes augmented by color contact lenses (girls). That's nice of him to do so, after the fact. Somalia is one of Obama's favorite target practice sites for drone attacks. France says the US is assisting them also in Mali, to fight the "rebels" so that Europe remain protected. Whatever. France says the French hostage, who had been held since 2009, was killed by the terrorists. The terrorists say he is alive. President Barack Obama says U.S. forces assisted in a failed attempt to rescue a French citizen in Somalia on Friday. Obama says the U.S. forces provided limited technical support to French forces leading the operation. The president says the Americans had no direct role in the assault on the compound where a French intelligence agent was believed to be held hostage. French officials say the hostage is almost certainly dead. A French commando was also killed in the rescue attempt. Obama disclosed the U.S. role Sunday in a letter alerting Congress about the deployment of U.S. forces. The French commandos were there to free a French intelligence agent captured on Bastille Day in 2009. The man, known by his code-name Denis Allex, was chained up, abused and moved from one safe house to another, French Defense Minister Jean-Yves Le Drian said Sunday. Le Drian said the government decided to stage the rescue a month ago, when Allex's location seemed to have settled down "in a spot accessible by the sea." The local accounts, along with that of a Somali intelligence official and the French defense minister, offer a glimpse into a chaotic rescue attempt in which nothing seemed to go as planned. French officials, including the president, and a Somali intelligence official said Allex was almost certainly killed by his captors. The intelligence official, who spoke on condition of anonymity because he was not permitted to speak to the press, said Sunday that the home where the agent was held was destroyed in the attack Saturday, and that intelligence networks "do not have any information indicating he is still alive." The Somali al Qaeda affiliate Al-Shabab has offered no proof for its claims that Allex was still alive and that a wounded French soldier was in its custody as well. French officials acknowledge a missing soldier, but say they believe he is dead. The fighting took an even steeper toll on the Islamists, according to French officials and locals. French officials said they counted 17 dead among the Islamists. For some unknown reason, NHK decided to air a documentary on iodine-131 dispersion in the days right after the start of the Fukushima I Nuclear Power Plant accident in March 2011. In it, there was a simulation map created by researchers who carefully pieced together information without the government funding. It was a map of estimated thyroid dose equivalent exposure of I-131 for 5-year-olds. The highest exposure is shown at above 200 millisieverts (thyroid dose equivalent for 5-year-olds). This is the first map I've ever seen that has been made by the Japanese, plotting the thyroid dose. What's interesting is why the dispersion of iodine-131 is still an estimate and simulation. As NHK tells it, the government ministry in charge of measuring radiation, Ministry of Education, actively intervened and prohibited the officials or researchers from doing the actual measurement of radioactive iodine in the air from March 14 to March 17, 2011. WHY? Because the explosion of the Reactor 3 building at Fukushima I Nuclear Power Plant would endanger the officials doing the measurement outdoors. The officials dutifully followed the order. They chose not to collect probably the most critical data of the accident, and they didn't bother to tell the residents either, who were out and about with no information. That's if you can believe NHK. I wonder why they created the above map as dose equivalent for 5-year-olds, instead of 1-year-olds, like France's IRSN did. My guess is that the numbers would then be too high for viewers' comfort. NHK's documentary (in Japanese) can be still seen here (part 1) and here (part 2), until NHK notices and takes them down.